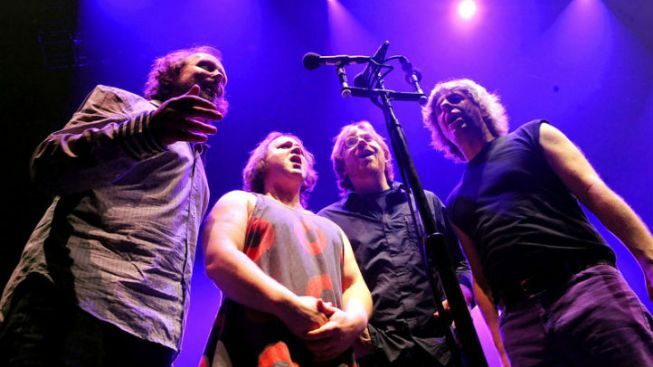 Phish is set to release a new album in July with music recorded from two of their most infamous Chicago shows. Phish’s summer tour may not hit Chicago, but a new CD release is sure to give Chicago fans their fix. Their tour, set to hit Indiana and Wisconsin Thursday through Sunday, skipped out on their infamous Chicago venues, such as last year’s UIC Pavilion and previous Toyota Park performances. But the band didn’t totally leave Chicago out of their sites, as they plan to release a six-CD box set with songs from two historic performances held at the UIC Pavilion in 1994. The new CD, “Chicago ’94,” is 43 songs long, with six hours of jams smashed together from the June 18 show and the November 25 show, making for one tasty Phish sandwich. The box set is scheduled for release July 31 at $36, but special pre-orders are available at Phish Dry Goods, according to the band’s website. Adding to the Chicago-ness of the set, the cover artwork is done by well-known Phish collaborator and Chicago artist Jim Pollock. Pollock's limited edition lithograph poster and t-shirt design are included in certain bundles with the CD along with a special Jim Pollock trading card for those who pre-order.